We think the main purpose of home security systems is to let you enjoy your home more. They don’t. Today’s home security solutions fail in the most fundamental way — they fail to give you peace of mind. They add anxiety and complexity, but they’re not very good at keeping you safe. 95% of alerts to local police departments are false alarms. It’s a rate so high, many dispatchers effectively ignore calls from the major home security monitoring services. True peace of mind doesn’t come from building a stronger fortress or a better panic room. We believe that it comes from increased knowledge and awareness of your surroundings. It’s knowing that the sound you heard outside is a pesky raccoon in your garbage or that the person at your door is just a deliveryman. We think there’s a better way. And with all the modern technology available to us, we wanted to build a system that gives us true awareness and the ability to enjoy our homes again. This is why we started Sunflower Labs and today we are announcing the Sunflower Home Awareness System. 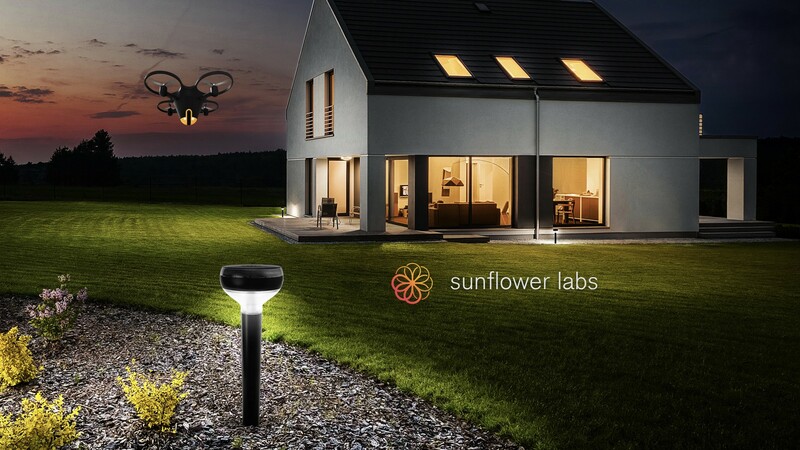 The Sunflower System is a fresh take on home security that combines Sunflower Smart Lights and the Sunflower Flying Camera to create a dynamically aware network surrounding your home. The Smart Lights are beautiful, durable and technologically advanced collection of sensors that are placed around your home to identify any out of the ordinary activity. 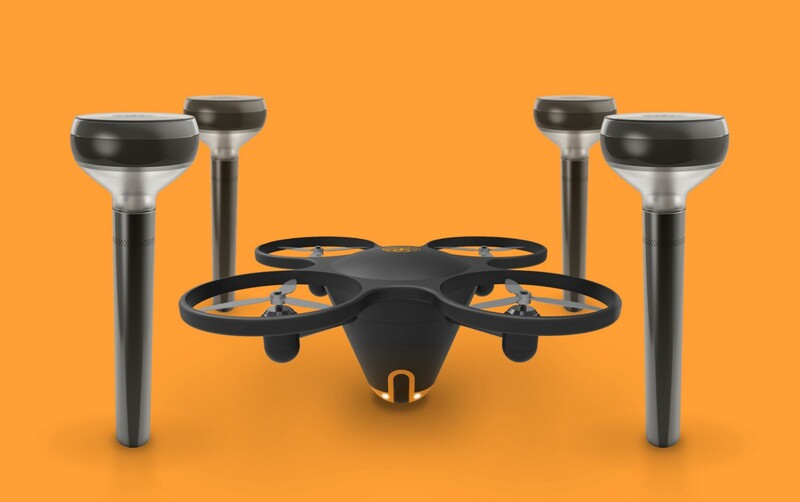 The Sunflower Flying Camera, an autonomous quadcopter, works in concert with the Smart Lights to swiftly navigate to and stream live video from any area of interest. Together, the Smart Lights and the Flying Camera create unprecedented awareness for your home and property. Each Smart Light has more than a dozen sensors. Using advanced sensor fusion techniques, we combine and analyze all the incoming data in real time not just from a single Smart Light, but from all of them installed across your property. The Sunflower System can detect motion, vibration, sound and can recognize and identify cars pulling up your driveway, people approaching your home and animals in your yard. When an event occurs, the Sunflower System sends you an alert. You can dismiss it if it’s nothing to be concerned about, or, deploy the Flying Camera. The System uses every interaction to learn the normal patterns for you and your home. When you deploy the Flying Camera, it autonomously flies to the location of the event and sends live video back to your phone or tablet. The Smart Lights also act as navigational beacons, so the Flying Camera knows where to find the action, even as it moves across your property. Building this solution is an ambitious goal, but we’re well on our way. The Sunflower Smart Lights will be available first, next year. The Smart Lights are a security system in their own right, capable of working as a stand-alone awareness system, or in conjunction with other smart home devices. The Flying Camera will follow a few months later.